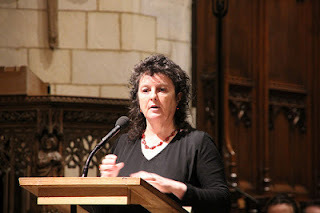 Last week I went to see my idol Carol Ann Duffy give a poetry reading at Southwark Cathedral. As I had to get the train there straight after work, I made it just in time and there were no good seats left, so I was stuck in the aisle with a massive pillar in my way- I couldn't see her at all! I had never seen her do a reading before, and she didn't sound the way I had imagined her in my head! She started with a few poems from her collection 'The Worlds Wife' which is not one of my favourites, but hearing her read them aloud made me look at them in a different light. She also read her new poem which was written especially for Southwark Cathedral. I was hoping she would have read something from 'Rapture' which is my favourite collection but she didn't. She also announced the winners of the Cathedral's poetry competition which I was disappointed that I had not heard of before, as I would have liked to have entered it! The Cathedral Choir also sang at various intervals throughout the evening, and they were amazing. They even sang a Christmas song at the end which felt so festive. I've not spent much time in that part of London and it was a pleasant surprise at how nice it was- normally I don't like London. After the performance Jody and I had a look round and grabbed some pizza before getting the train back home. It was a lovely night and I'm so glad I got to listen to the person who has inspired me with my writing more than anyone. Maybe next time I'll get to see her! I love Carol Ann Duffy! I remember seeing her do a reading when I was about 16 and studying her poems for gcse, and I absolutely loved her. And Southwalk cathedral is gorgeous isn't it? 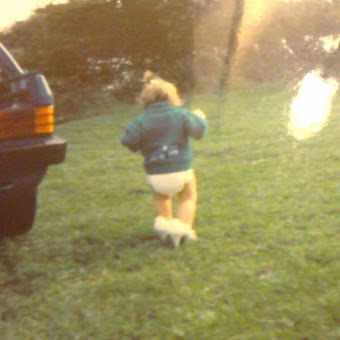 I danced there once when I was younger, so have a soft spot for it :) Just found your blog through twitter, love it! Newest follower! Thanks Rosie! Yes I love Carol Ann Duffy! She is my idol, I even have a Carol Ann Duffy tattoo!